Four bands. Four paintings. Four different outcomes. See how the energetic folk music group 9 grader nord transformed The Sick Child by Edvard Munch into a song. A spontaneous singalong in Tamil? By an audience who don’t know the language at all? This is part of the magic that happens when the Bergen-based band 9 grader nord is on tour. They don’t shy away from the unusual, with typical instruments like bamboo flute and cajón drum, and they also mix musical genres as diverse as flamenco, baila, and jazz. On stage, the band members together are known to be a pure energy boost. 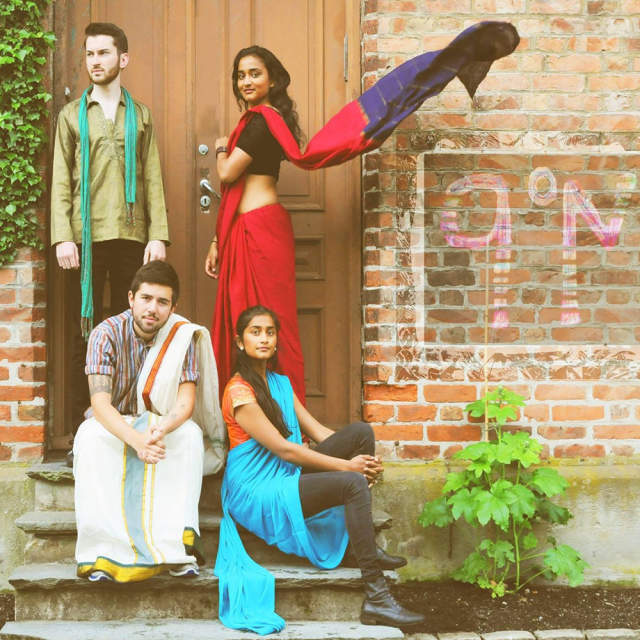 The name 9 grader nord (Norwegian for 9 degrees north) is a reference to the location of the city Jaffna in Sri Lanka where the two female band members, sisters Mira and Dipha Thiruchelvam, are from. Together with Jakob Sønnesyn and Jakob Sisselson Hamre, they make folk music that, according to music critics, travels across borders. 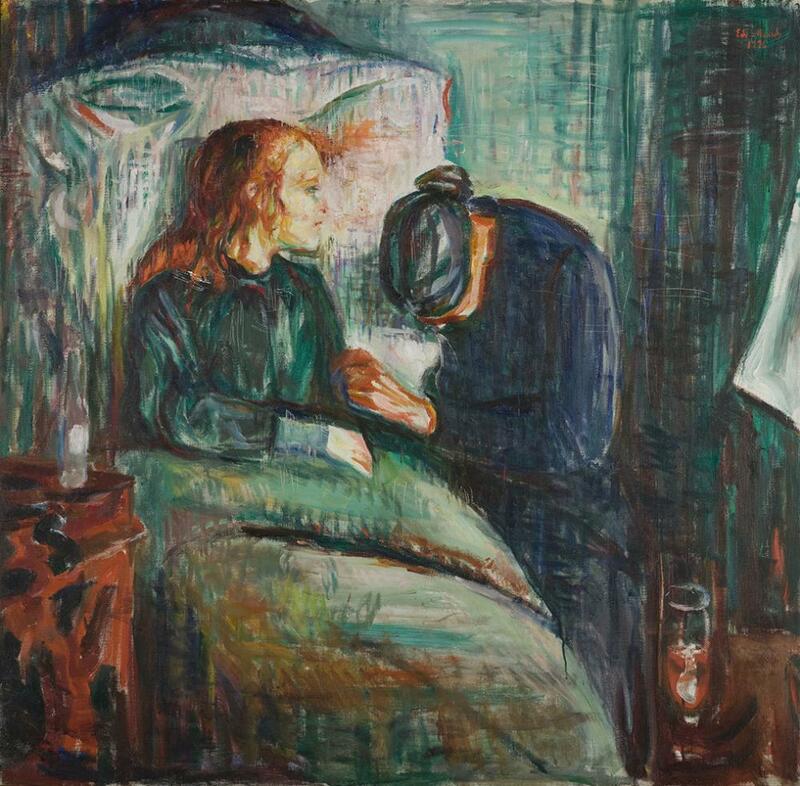 The Sick Child records a moment before Munch’s older sister Johanne Sophie (1862–1877) died of tuberculosis at the age of 15. Munch returned to this deeply traumatic event again and again in his art over a period of more than 40 years.